The New York Times is reporting on the human cost of manufacturing iPhones, iPads, and other electronics in China. While Dell, Hewlett-Packard, Lenovo, Motorola, Nokia, Sony, Toshiba and others are also mentioned, Apple gets most of the focus, no doubt because they have the highest profile. 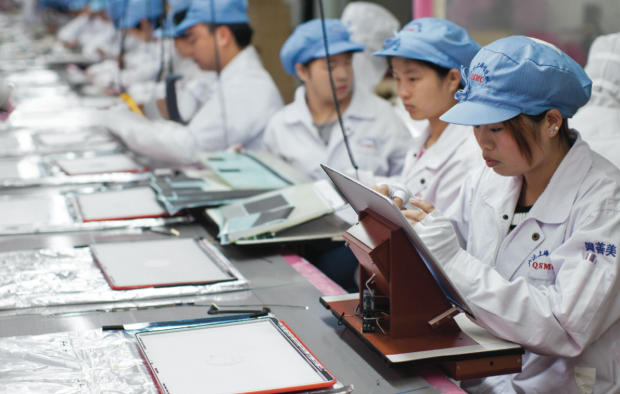 The article details how suppliers approach Apple and what Apple requires of them to produce the devices we all use on a daily basis -- the cost of parts, salaries, and more importantly, the impact on human lives. “The only way you make money working for Apple is figuring out how to do things more efficiently or cheaper,"
A recent explosion in an iPad 2 facility resulted in 2 fatalities with many more injured. The advocacy group Sacom in Hong Kong also published a report warning of unsafe conditions, issues with aluminum dust, and poor ventilation. Debby Chan Sze Wan of Sacom says a copy of the report was sent to Apple. After receiving no response, she flew to Cupertino. Apple has been making moves to address some of the concerns, including publishing a Supplier Responsibility Progress Report that lists several companies that have continually been found in violation of safety regulations every year since 2007. The problem doesn't just lie with Apple but with many technology companies that continuously pressure suppliers to cut their margins. It's worth pointing out that Apple is the only company that's releasing a supplier list and providing transparency. We're still waiting on other companies to do the same. And the countries themselves can't be let off the hook either. They want the jobs and money Apple and other manufacturers are creating and providing, and have not yet put in place regulations to safeguard their citizens and workplaces. Perhaps they fear if they do, Apple and other companies will just go elsewhere. But that's a reason, not an excuse.